The Tree of Life is a very old idea, as is evident from the wide diffusion of the motif across Africa, Asia, Australia and South America. The principle of diffusion holds that the oldest culture traits, beliefs or practices are those that are most widely diffused across the earth. So we may assume that the Tree of Life motif is indeed very ancient. 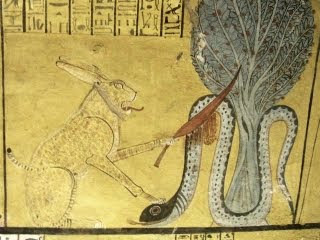 The Tree of Life archetype is as old as the serpent archetype and the two are often portrayed together, as in the image (right) of (Re's cat) killing Apophis, the giant water serpent. The point of origin of both archetypes appears to be the Nile. The Kikuyu, a Nilotic tribe, place their first parents on a ridge north of Muranga, a town south of Nyeri in Kenya. One can visit the site. A sky-blue gate marks the entrance to Mukurwe Wa Nyagathanga—the Tree of Gathanga. Inside the gate are two mud huts, one for Gikuyu and one for Mumbi. The site looks toward the cloud-shrouded Mount Kenya (called "Mount Kirinyaga" in precolonial times). To the Kikuyu, Mount Kenya is the seat of God, who they call Ngai. Ngai created Gikuyu and told him: “Build your homestead where the fig trees grow." This is why many believe that the Tree of Life was a fig tree. Genesis does not say what kind of fruit was produced by the Tree of Life, but the fig tree plays a significant role in revealing Jesus as the Son of God in the Gospels (Mark 11, Matthew 21 and Luke 13). Mount Kenya stands at 15,000 feet and is 42 miles west-southwest of Mount Kilimanjaro. It is an extinct volcanic crater and the land at the base is rich volcanic soil. As one ascends the mountain, there are forests with fig trees. Among the Church Fathers, the Tree of Life is a symbol of Jesus Christ and the serpent is the symbol of His adversary. We meet both in Genesis and in Revelation, at the beginning and at the end of the biblical story. Both the Tree of Life and the serpent are associated with the first man and the first women. At the Horite shrine of Heliopolis, the first couple Isis and Osiris were said to have emerged from the tree of life. Right: Water flows from the Tree of Life. In the Gikuyu creation story we are told that at the beginning It was, our elders tell us, all dead except for the thunder, a violence that seemed to strangle life. It was this dark night whose depth you could not measure, not you nor I can conceive of its solid blackness, which would not let the sun pierce through it. But in the darkness, at the foot of Mount Kerinyaga, a tree rose. At first it was a small tree and it grew up, finding a way even through the darkness. It wanted to reach the light and the sun. This tree had Life. It went up, sending forth the rich warmth of a blossoming tree - you know, a holy tree in the dark night of thunder and moaning. This was Mukuyu, God's tree. Now you know that at the beginning of things there was only one man (Gikuyu) and one woman (Mumbi). It was under this Mukuyu that He first put them. And immediately the sun rose and the dark night melted away. The sun shone with a warmth that gave life and activity to all things. The tree of knowledge also was there, of which if any one eats, he becomes endowed with great wisdom. It was like a species of the tamarind tree, bearing fruit which resembled grapes extremely fine; and its fragrance extended to a considerable distance. I exclaimed, How beautiful is this tree, and how delightful is its appearance! Then holy Raphael, an angel who was with me, answered and said, This is the tree of knowledge, of which your ancient father and your aged mother ate, who were before you; and who, obtaining knowledge, their eyes being opened, and knowing themselves to be naked, were expelled from the garden. The tree of the knowlegde of good and evil is another very ancient idea. The tree is often associated with the serpent. It may be that the coiled branches of certain trees that cause visions when consumed according to certain perscriptions looked like serpents. Jeremy Narby claims in his book The Cosmic Serpent that such trees produce substances that permit humans to communicate with serpents. I've reviewed his book here. 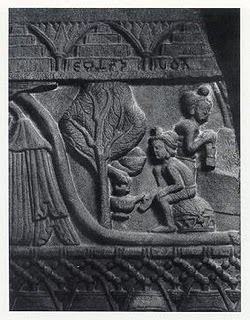 Right: Tree of Life with serpent on stone relief from India. 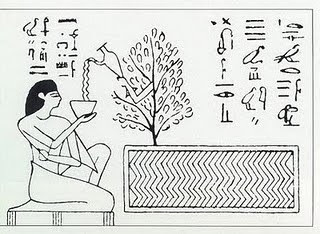 Note that water flows from the tree, as in the image from Egypt above. If there is a tree in real time that serves as the basis for the Tree of Life it might be the Moringa oleifera tree because it is the most nutritious source of plant-derived food found on the planet. Moringa is the Tamil-Dravidian name. The Hausa name for the tree is Zogale, meaning the helper. It is sometimes called the cabbage plant and is a stable in Afro-Arabian pharmacology. For centuries, the natives of India, parts of Africa, Asia and South America have benefited from the Moringa’s leaves, pods and flowers which are rich in nutrients important to humans and animals. The seeds are used to purify surface water and can produce a 90.00% to 99.99% bacterial reduction in previously untreated water. Of course the true Tree of Life is Jesus Christ, who is also the Living Water (John 4), and the Seed of the Woman promised in Genesis 3:15. This Seed alone is able to purify hearts and minds. Thinking about the knowledge of good and evil and of *knowing* both good and evil in the Biblical sense ...I just realized this passage means much Much MUCH more than a mere cognitive awareness of evil. 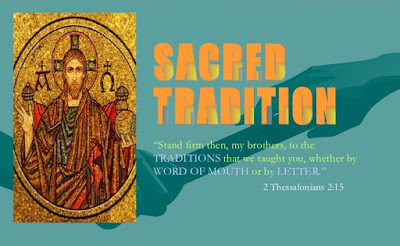 If we follow the Biblical understanding of 'knowing' through the entire counsel of Scripture, 'to know' really means to have communion, union, to join with or give oneself to, to listen and attend to, to obey, to partake of, to commit or commend oneself to, to trust and to worship and to marry and bear the fruit of or children by... evil. You are supported in this by Rev. 2:9 and 3:9 where we are told that those who rejected Jesus as the Christ, the Son of God, are of the "synagogue of Satan." Also John 8:44 were those who opposed Jesus were told "You are of your father the devil." In Acts 13:10 Paul called the socerer Bar-Jesus (meaning son of Jesus) the "son of the devil." I John says the the devil has sinned from the beginning. Georgia, I was thinking of this very thing just yesterday morning. To illustrate further, imagine the full import of Christ's words to the apostates-- "away from me, for I *knew* ye not". Chilling.